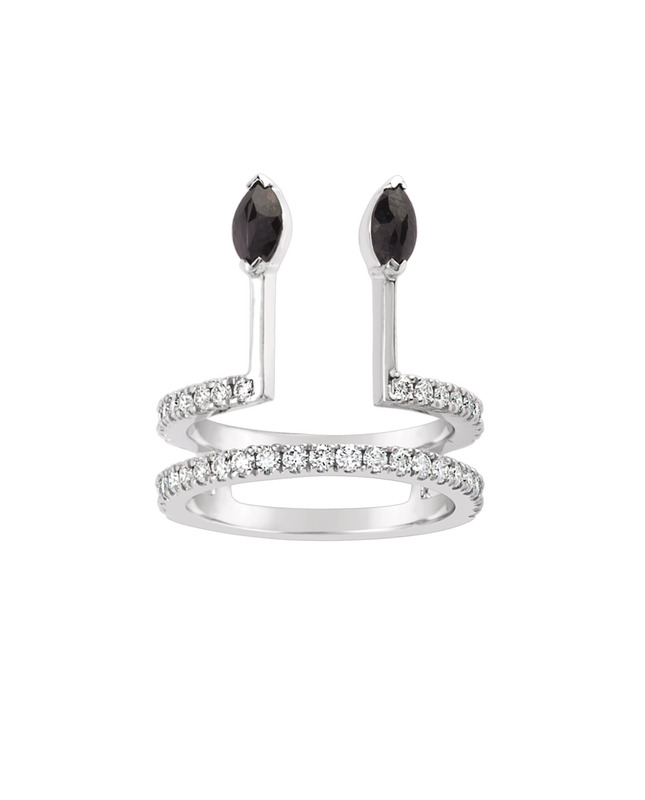 The Double Parallel Baguette ring glorifies the diamond. 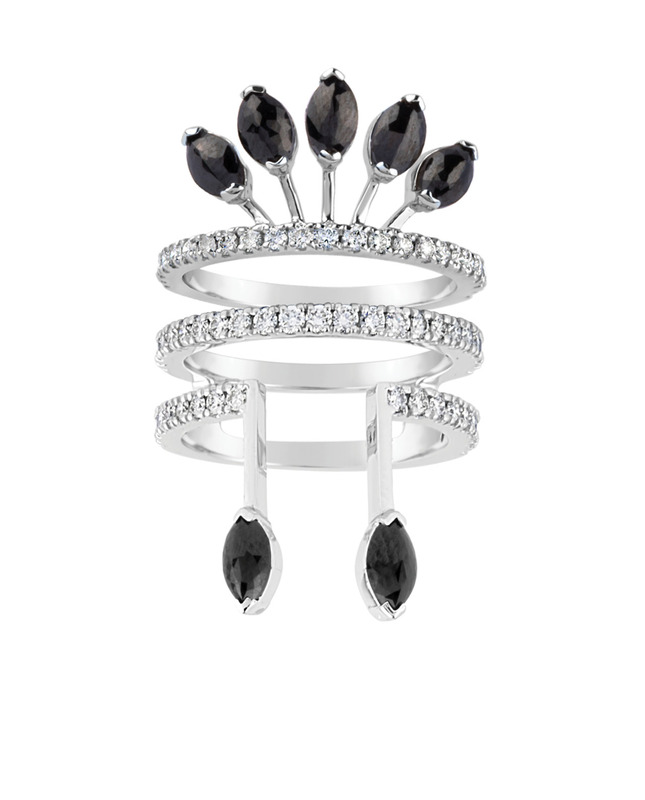 As rare as it is precious, the Queen of Stones is magnified and contrasted in black for a sophisticated look. 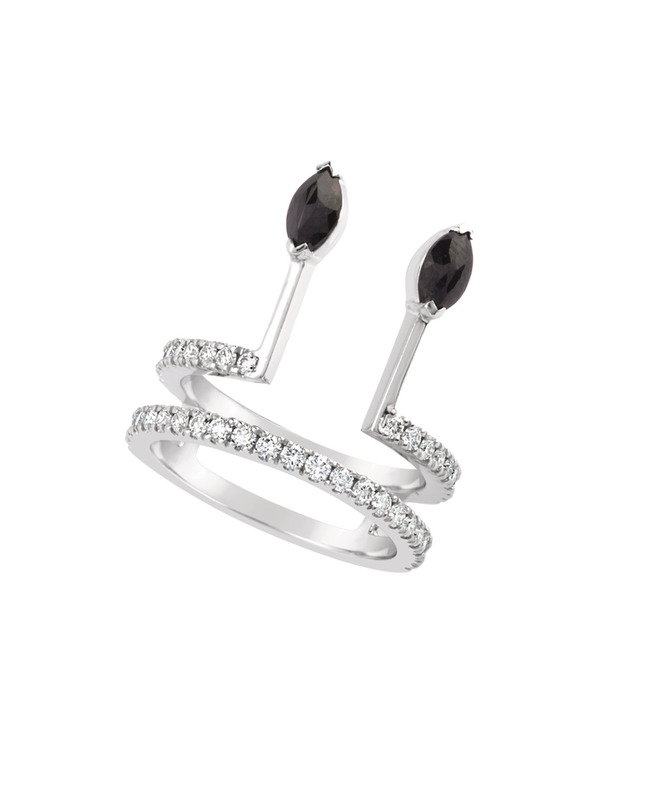 In a minimalist style, two paved bands of brilliant-cut diamonds fall in love with two small parallel sticks channeled by marquise-cut black diamonds. This jewel entirely handmade in 18-carat gold sits gently on the skin like a signature.